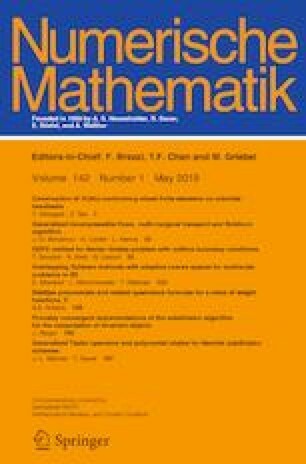 Starting from Brenier’s relaxed formulation of the incompressible Euler equation in terms of geodesics in the group of measure-preserving diffeomorphisms, we propose a numerical method based on Sinkhorn’s algorithm for the entropic regularization of optimal transport. We also make a detailed comparison of this entropic regularization with the so-called Bredinger entropic interpolation problem (see Arnaudon et al. in An entropic interpolation problem for incompressible viscid fluids, 2017, arXiv preprint arXiv:1704.02126). Numerical results in dimension one and two illustrate the feasibility of the method. It is our pleasure to thank Christian Léonard and Yann Brenier for many fruitful discussions, we are also grateful to Christian Léonard for sharing a preliminary version of  with us. The authors are grateful to the Agence Nationale de La Recherche through the projects ISOTACE and MAGA.